Designed as an entry level board for either downhill or kite boarding. The Kheo Kicker comes complete with natural looking maple ply deck, together with the contemporary graffiti style graphics enable the Kheo Kicker to compete on looks and style! 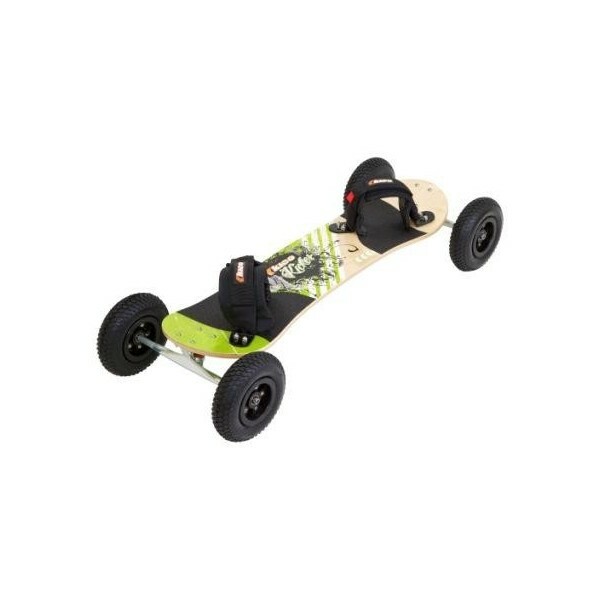 The use of a 10mm axle offers the light weight benefits of a skate style mountain board truck assembly giving you the opportunity to get into the air as soon as possible! At 90cm long, the deck makes the Kheo Kicker manoeuvrable as excellent for younger or smaller stanced riders. 8" diamond tread tyres are fitted as standard, giving reliable performance in all conditions. New and improved Kheo velcro comfort bindings offer a more secure fit for increased comfort and performance. With a total board weight of only 6.1kg, the Kheo Kicker All-Terrain Board is one of the lightest kite landboards on the market. Use it as a mountain board for use down hills or as a lightweight kite board for use with a power kite.